After collage I was restless, so I decided to do some travelling. For two years I traveled to New Zealand, Australia, Europe and the British Isles. I returned home and joined the US Air Force and was sent to electronics school, then shipped out to Germany and Turkey for a couple of years. When I returned to the US, I married and raised a family, spending the remainder of my enlistment at an Air Force base in Southern California. After discharge from the military, we moved to Redding California where I worked for 4 years until I had an opportunity to open my own retail store in Willits California where I stayed for 11 years. 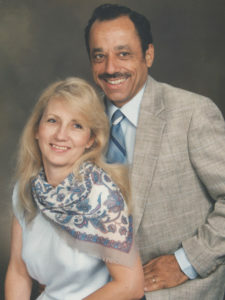 We moved to Sacramento California and divorced in 1983. Three years later Carolena and I met and married and worked until Carolena retired in 2002 when we started our business. In 2003 I retired and Treasures 2 Remember is growing into a wonderful business. Writing was something I just did for myself. Romantic poems mostly, some short stories, never thinking of doing anything with any of it. People started asking me to do some personalized stories for them for Valentine Day or whatever. It was actually fun. Raising my kids, working full time and going to college, the writing was put on hold. After a few years of coaxing and gentle prodding I was persuaded to send in some of my poems and to my delight, And surprise, both poems were published. So with my kids now on their own and my newfound confidence and encouragement from family and friends, I started selling my work. When I met and married Dennis twenty-eight wonderful years ago, we talked about a small business, but not until I retired did we do anything about it. Using my poems and little stories, Personalized Message in a Bottle was what we decided to sell, as a result, our business became a reality.